We encourage all children to wear Fairview school uniform as we feel it helps set the tone and atmosphere within our school. 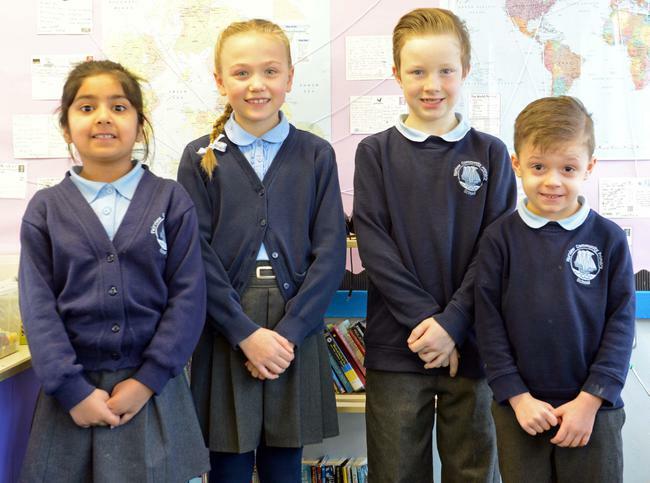 School uniform is available to purchase on-line from our uniform supplier, Brigade https://mailchi.mp/brigade/the-countdown-has-begun-598369 and select Fairview from the drop down menu); or via the Tesco Uniform Embroidery Service (www.tesco.com/ues and again select Medway then Fairview from the list). We do have an extensive range of nearly new uniform, reasonably priced, available in school; please ask at the school office. As well as embroidered sweatshirts, embroidered fleeces, cardigans and polo shirts are also available; as are summer dresses, jogging pants, book and PE bags. Do call in to the School Office if you would like advice about our school uniform. Children with long hair should have it tied back at all times for health and safety. It is vital for the health and safety of the children that they change for PE, therefore all children must have plimsolls or clean trainers (boot trainers are not an acceptable substitute for indoors) and slip-ons are recommended for children who are unable to tie their laces. A change of clothes is essential and the school PE kit is the same for both girls and boys. Pupils who play football or hockey may require football boots and shin pads. Please do not buy leotards for school use. PE kit should be kept in school at all times. Games shirts, tracksuits and trainers may be worn for outdoor activities. All equipment must be kept in a PE bag (not a carrier bag) that can be hung from a peg. Please do not send weekend bags, duffle bags and rucksacks to school. We have no storage space for them, they obstruct the corridors, cause danger with tripping and could be lethal in a fire emergency. You can order Fairview Community Primary School book bags and PE bags from both our uniform suppliers, Brigade and Tesco. All clothing and footwear should be clearly marked with the child’s name. Please ensure that coats have a tape to hang them by. We provide a Fairview team strip for pupils who represent us in sporting events … and we look very smart! The wearing of all forms of jewellery, such as rings, bracelets, necklaces and earrings is not permitted. Children with pierced ears may wear a small, short stud. For reasons of safety it is essential that no jewellery whatsoever is worn during PE and games. If you would like your child to wear pierced earrings, we suggest you organise this at the beginning of the summer holidays, as this will allow sufficient time for their ears to heal. We cannot be responsible for the safekeeping of jewellery brought into school with or without the knowledge of parents. Children who wear watches to school must accept responsibility for them. They must be taken off during PE lessons and not handed to the teacher. Cosmetics, including nail varnish are strictly forbidden.